Bioderma Photoderm MAX SPF50+ Spray / Gee Whiskers! 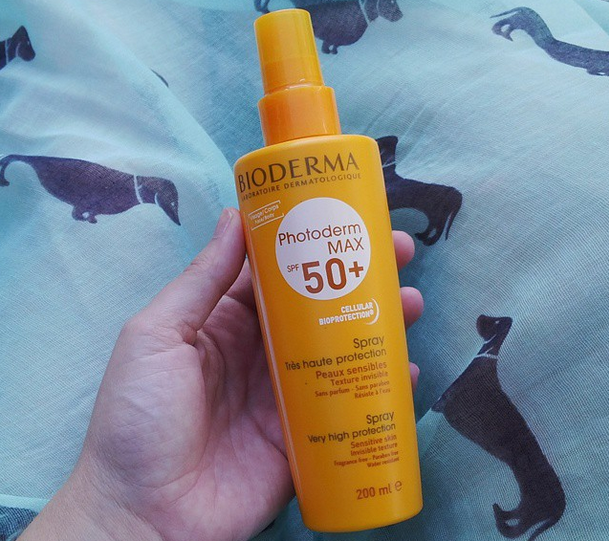 I am not the type of person that will easily spend hours in the sun by the pool, but when I choose to do so, I always use Bioderma's Photoderm MAX SPF50+ Spray. I love this light weight cream, how easily and quickly absorbed into my skin. The best part is that it doesn't leave a greasy or oily film on my skin, the finish is silky and almost matte. It also doesn't leave your skin the dreaded white sheen. The nozzle of the spray mechanism sprays the product in to a fine mist on your body which makes it easy to apply. I have sensitive skin and even though this product contains alcohol, it hasn't upset my skin at all in all the time I have been using it. This is suitable for sensitive, normal and combination skin. I find this also works well on my face even though I prefer to use sunblock that is specifically for the face area. This has quite a runny formulation so it is perfect for thinning out foundation with the added benefit of protecting your skin from the sun. There aren't many skin benefits to this sunblock besides the fantastic sun protection it offers - which is good enough for me because when I know I am going to be in the sun for a long time I always drink plenty of water and when I shower I use moisturising products and body oils to treat my skin. I purchased my bottle from the Rubybox website for R269 (200ml bottle). Selected Dischem stores also stock Bioderma's range. I have been wanting to try this perhaps I will after reading this post. Thanks for sharing.